She said her France visit aims to bolster the Vietnam – France strategic partnership established in 2013. Informing the board of the domestic situation, the top legislator said Vietnam has made solid progress in socio-economic development in the recent three years. Economic growth hit 7.08 percent in 2018 while social welfare was ensured and local lives improved. Thanks to better business environment, a number of leading investors have started business operations in Vietnam and more and more private enterprises been established. The Party Central Committee issued an exclusive resolution on the development of private sector, the leader stressed. 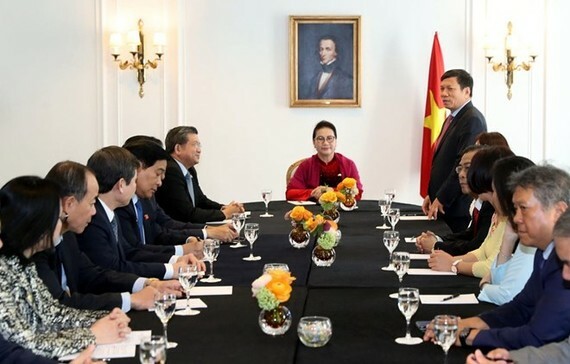 External relations and global integration continue to be stepped up in an active, proactive and effective manner, she said, adding that Vietnam signed and implemented 12 free trade agreements, and is in the processing of negotiating four bilateral and multilateral others, including the Comprehensive and Progressive Agreement for Trans-Pacific Partnership (CPTPP) approved by the NA in late 2018 and the Vietnam – European Union Free Trade Agreement. Vietnam successfully hosted a number of major regional and global-scale events such as the 132nd Inter-Parliamentary Union (IPU) Assembly, the Asia-Pacific Economic Cooperation (APEC) Leaders’ Week 2017 and the 26th Annual Meeting of the Asia-Pacific Parliamentary Forum (APPF-26). 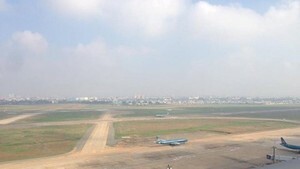 Recently, Vietnam was chosen as a venue for the second USA – DPRK Summit in Hanoi from February 27-28, which has improved the country’s stature in the region and the world. The NA Chairwoman affirmed that the Party and State highly value the Vietnamese community abroad, including those in Europe, for their mutual support in life. Hailing the important role of the board members, she described them as a key mainstay for Vietnamese nationals in Europe to integrate into the host nations. The leader also listened to their aspirations and discussed in detail suggestions.